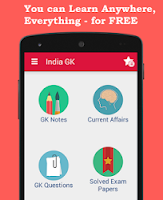 Current Affairs MCQs of 23, 24 July 2015: Current Affairs Daily Multiple Choice Questions (MCQs) for India GK, World GK and current affairs with Collection of daily objective type Question by www.Indiagk.net based on General Knowledge (GK) and General Science (GS) Questions for UPSC, State PSC, SSC, Police exam, Railway exam, SBI, Bank PO, IBPC, SSC, LDC, UDC, Army, Airforce, Navy, Coast Guard, Bank Clerk, TET and all entrance examination with current affairs News, Multiple Choice Questions (MCQs) available on Website www.IndiaGK.net and Android Apps with daily updates:. Which indian movie garnered a whopping 300 crores in 9 days on box office ? Panchagavya Chikitsa is related to ? World Boxing Organization (WBO) has recently stripped of the Welterweight World title 2015 won by whom in May 2015? University Grants Commission (UGC) has recently accorded the special heritage status to ___ colleges in India? ‘Homoeopathy for Healthy Child’ programme developed for 10 blocks on pilot basis. Which state was not part of it ? India along with which country was recently inducted permanent member of Shanghai Cooperation Organisation (SCO)? ATAL Innovation Mission is related to ? In which state India's first earthquake early warning system was recently installed?